Creativity or Insensitivity? / Kagayanons do not like it. Or maybe, we’re just being too sensitive. I don’t know. Some even question the timing of the ads. After seeing the pic, I feel like I just need to get things out of my chest once and for all. Why I dislike the new DOT slogan? First, let it be clear that what I really do not like is the use of the word “more”. 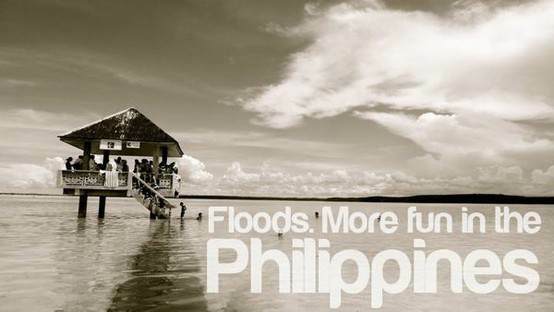 Philippines is more fun than what, than where? Do we really need to compare when we all know the real state of our nation? It promotes comparison which is clearly not good for the Philippines. We might be hurt by our own doing later on. Comparison is becoming a too common strategy in the Philippines in order to promote something. Personally I dislike that idea as much as I dislike the once advertisement in NAIA which compares Coron or El Nido from Bali or Sentosa in terms of money tourists will have to spend if they go visit those places. Poor memory, sorry. I’m not sure if the ad is still up. However, I’m quite certain I took a quick snap of it but I still have to locate the file. Second, in my opinion, it’s a bit common. It’s a sentence you would be able to read in many travel blogs or school essays. But hey, it’s just me! Also, fun and Switzerland is more rhymed. It’s no longer a secret that decades ago there was an article in Switzerland with a banner “It’s more fun in Switzerland!” and for the record as well, the previous slogan was criticized for being too similar to that of Poland’s in terms of font and colors. Third, it’ll be a perpetual justification why it’s more fun here to the point that some validation are already non-sense. There are things we Pinoys think are more fun like eating our favourite cholesterol-packed burgers but believe me, not all or many foreigners wouldn’t consider eating those unhealthy foods as something more fun. Fourth, it’s double meaning. From a personal experience, after a very disappointing firefly watching trip in a local province, the guy tourists asked our guide as to where they could have “more fun” that night. Minutes after they all headed to the local bars and by the looks of it you would know what kind of bars were those. Some say it’s just more fun to bash. For me however, this is not bashing, this is hopefully a constructive criticism. There will be a time when you’ll encounter some tourists in town, right?.Yes, at one point we all have to move on from this and mind the greater things. I attest though that forums and comments from various social networking sites give me tons of idea why is it FUN to stay or visit our beautiful Philippines. That simple. Hey world! 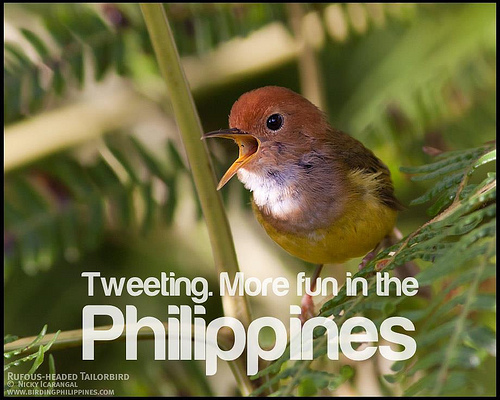 It’s fun here in the Philippines! No “more”, no less.